Focused on the Shale gas play! We are in Monroe County Ohio, From the Wheeling-St Clairsville area off Interstate 70 or 470 take State Route 7 South about 30 miles to our location. 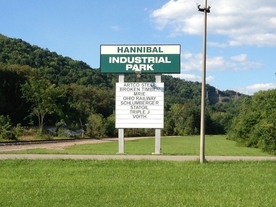 You will see the Hannibal Industrial Park sign that marks the main entrance to the Hannibal Industrial Park.